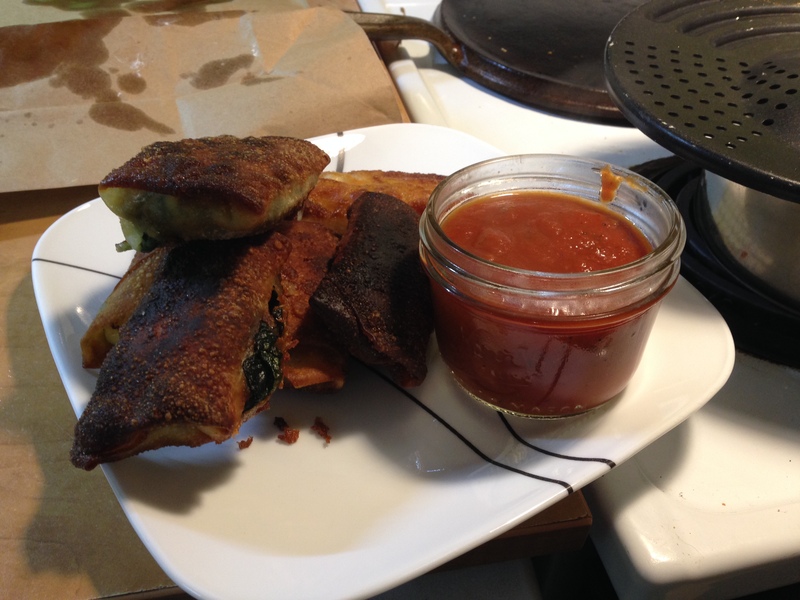 Rolls of a Pizza Type- A Fryday Night Adventure | Food It Yourself! 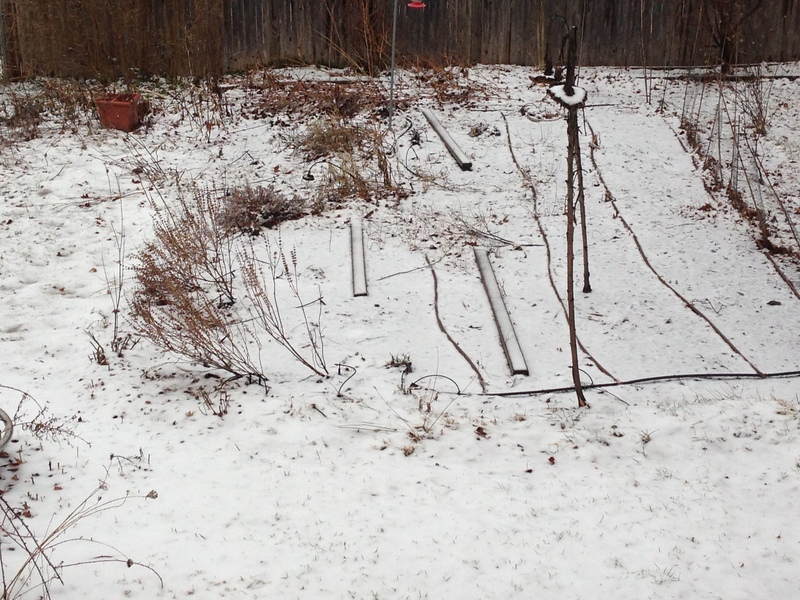 This was what the Food It Yourself Garden looked like last night. You can’t tell from the picture, but every possible form of water was coming out of the sky when I took this. 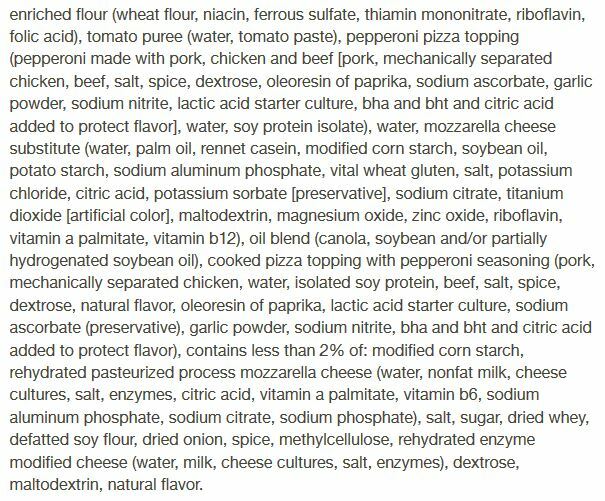 This is the ingredient list from a national brand of frozen pizza rolls. Imitation mozzarella cheese? Are you not worthy of the real thing? “Pepperoni pizza topping”? But, is it not in the middle of the roll? So very confusing. Food should not be confusing. It should be tasty. Found these in the produce section near the tofu products. You can also check the Asian food aisle. This is where I spent my money. Since we have to limit our intake of processed meats I went for quality over quantity. 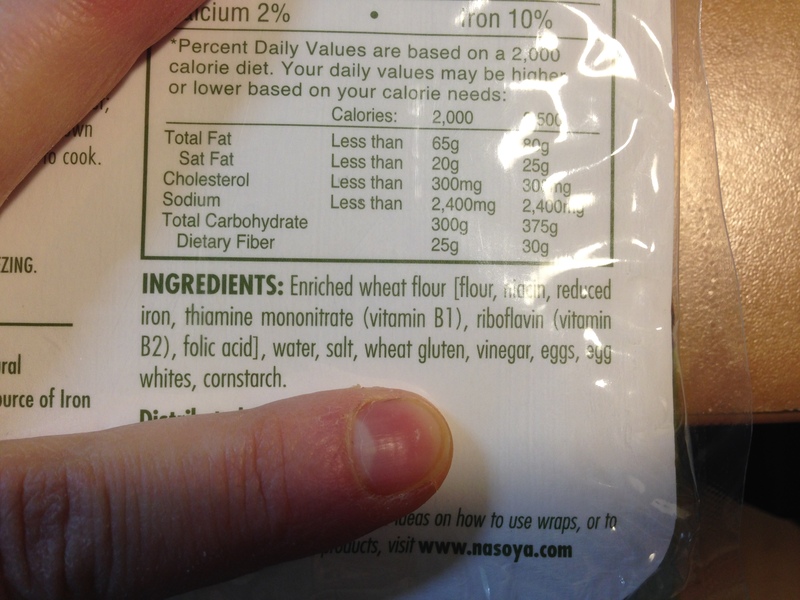 I found this in the bakery section next to the store’s house made pizza dough. You can also check near the deli or where they keep sausages, bacon, hot dogs, etc. 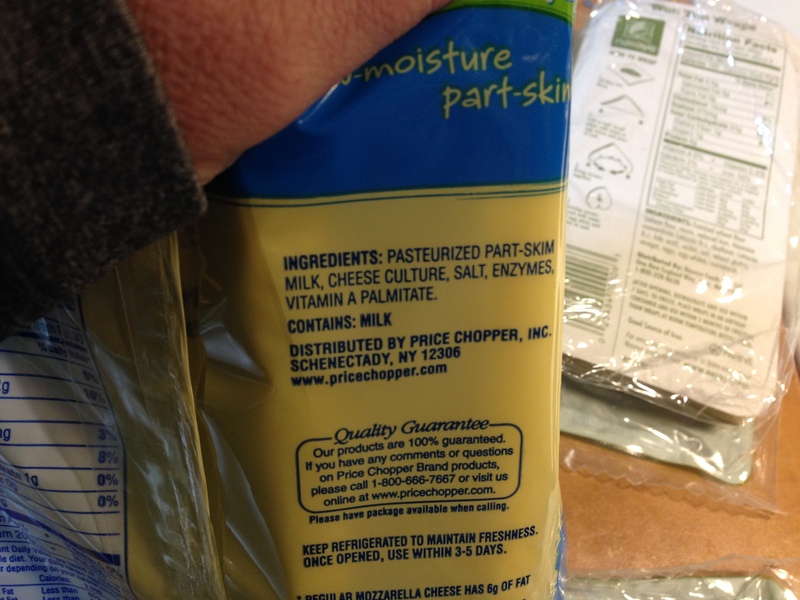 You could also just shred or slice some mozzarella, but these were cheaper per ounce because of the sale. And the extras will be good for snacking on this week. 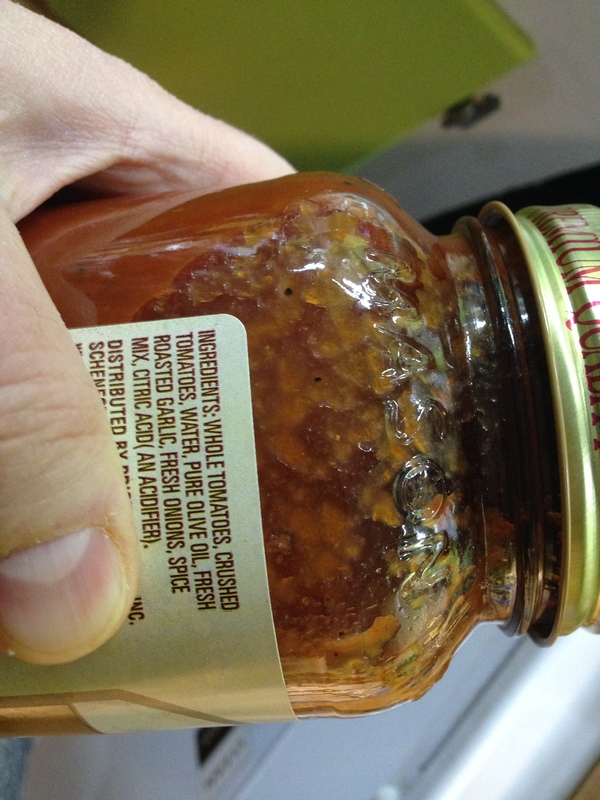 No, I did not use home made tomato sauce. I was feeling lazy. Here is how it all went together. 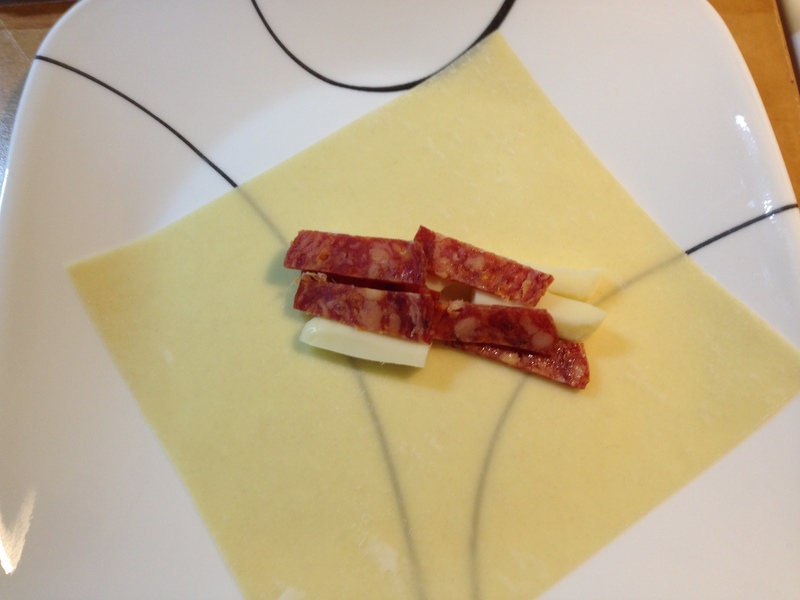 A few bits of mozzarella, some and some julienne pepperoni in the middle of a wrapper. Dampen the edges and gently roll. Remember not to over-fill your wrapper! Mr. Food It Yourself and I like pepperoni pizzas, but we also like veggies. As usual, keeping a DIYet let us customize our food. 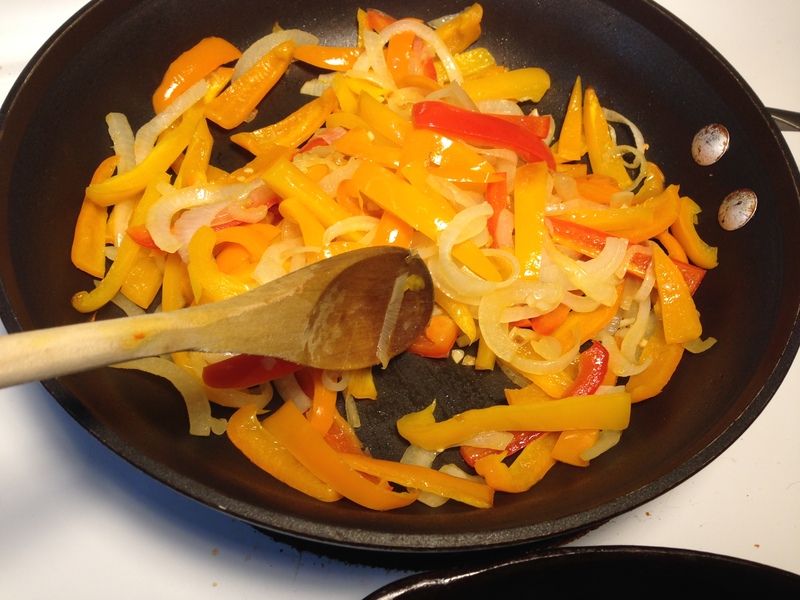 I sauteed some fresh bell pepper and onion for veggie pizza rolls. 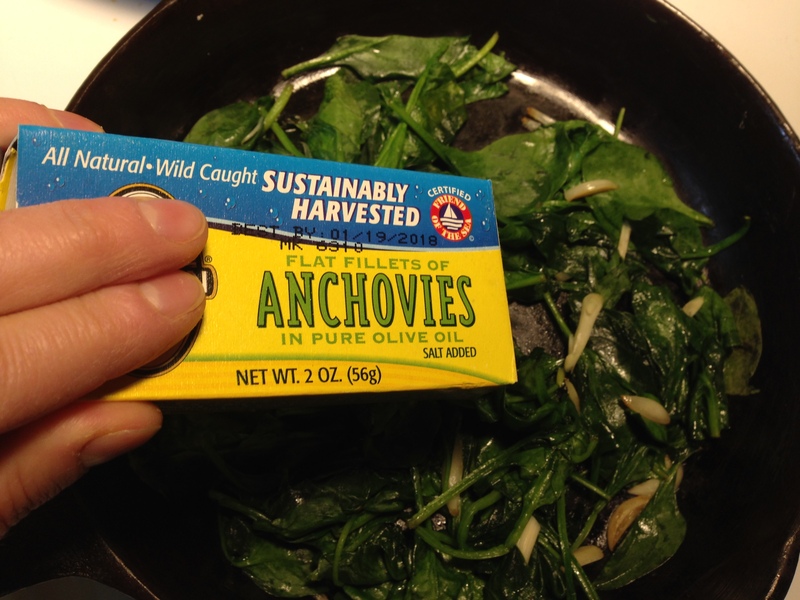 My all time favorite pizza toppings- sauteed spinach and garlic with anchovy. Yes, I said anchovy. You will not find this combination in the frozen “food” section. Once the rolls are crispy and hot drain them on some brown paper. Fried to a crisp and dunked in gently warmed tomato sauce, these hit the spot! Not even close to what most would call “health food”, but not junk food. These pizza rolls are just food, the kind one eats every now and then but not every day. The pepperoni rolls were amazing. 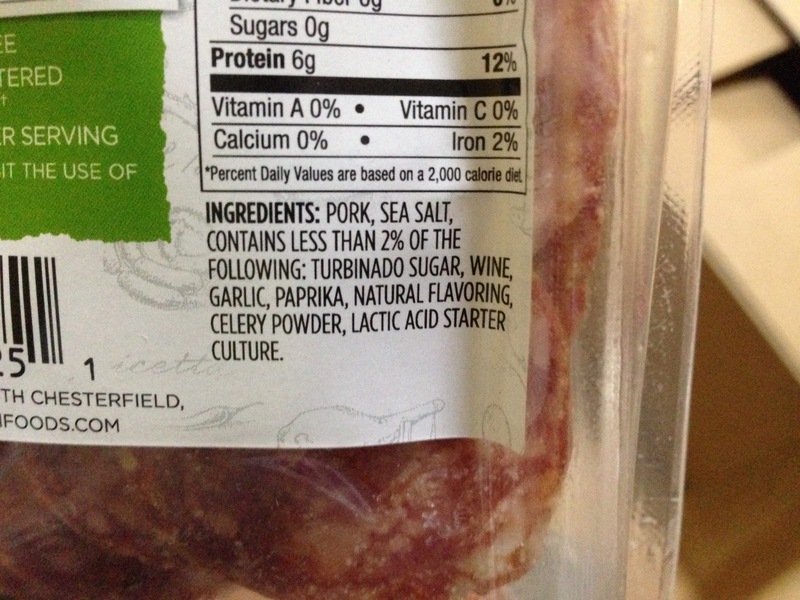 Spending a little more money on the expensive cured meat was the right choice. The pepper and onion version was also well received. If I make these again I might add some mushroom as well. Mr. Food It Yourself tried a spinach and anchovy roll; he did not like the spinach. Bill, Judy, Sarah and Kaitlin are a culinary super family who write The Woks of Life blog. They posted this take-out copycat recipe a few years back. How about taco egg rolls? Janelle at Num’s the Word has a recipe for that. 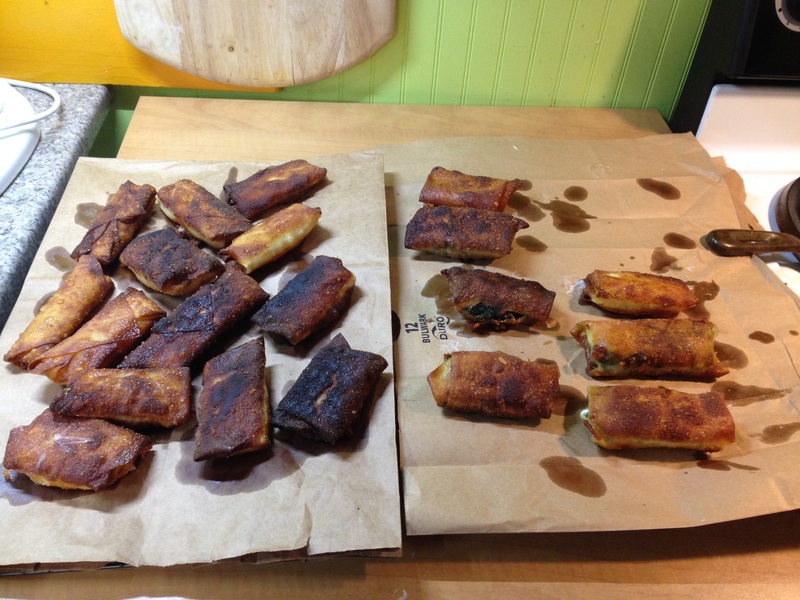 Not up for frying, but want some Philly cheesesteak egg rolls? Ashley at Wishes and Dishes has you covered with a baked version. Every DIYet, every diet for that matter, needs a little wiggle room. Mr. Food It Yourself and I eat our share of vegetable-packed soups, calorie conscious casseroles, whole grains, lean proteins, and delicately steamed veggies. Sometimes we eat fried things with cheese. Remember that enjoying a treat does not require you to turn to pre-packed frozen food products.